Dunaskin, Dalmellington Road, Waterside, Patna, Ayrshire, KA6 7JF. ZSL Whipsnade Zoo, Dunstable, Bedfordshire, LU6 2LF. This 2ft 6in. 1¾ mile long railway runs through the paddocks at Whipsnade Wild Animal Park. 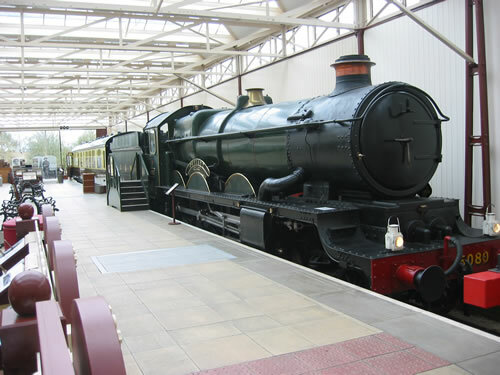 Steam and diesel locomotives. Yeovil Junction Station, Stoford, Yeovil, Somerset, BA22 9UU. Toddington Station, Toddington, Nr Cheltenham, Gloucestershire, GL54 5DT. Midsomer Norton Station, Silver Street, Midsomer Norton, Somerset, BA3 2EY. The Railway Station, Washford, Watchet, Somerset, TA23 0PP. Cottesmore Iron Ore Mines Sidings, Ashwell Road, Cottesmore, Nr Oakham, Rutland, LE15 7BX. Oundle Road, Peterborough, Cambridgeshire, PE2 9NR. Ingrow Railway Centre, South Street, Keighley, Yorkshire, BD21 5AX. Southminster Road, Burnham-on-Crouch, Essex, CM0 8QG. Collection of locomotives, rolling stock and small relics in station buildings covering history of East Anglian railways, one mile line. John B Keane Road, Listowel, Co. Kerry, IRELAND. South Road , Kirkby Stephen, Cumbria, CA17 4LA. Restored Kirkby East railway station and heritage centre. Passenger train service on some open days. Hunsbury Hill Road, Camp Hill, Northampton, Northamptonshire, NN4 9UW. Irchester Country Park, Wellingborough, Northamptonshire, NN29 7DL. Kempton Park Waterworks, Snakey Lane, Hanworth, Middlesex, TW13 6XH. 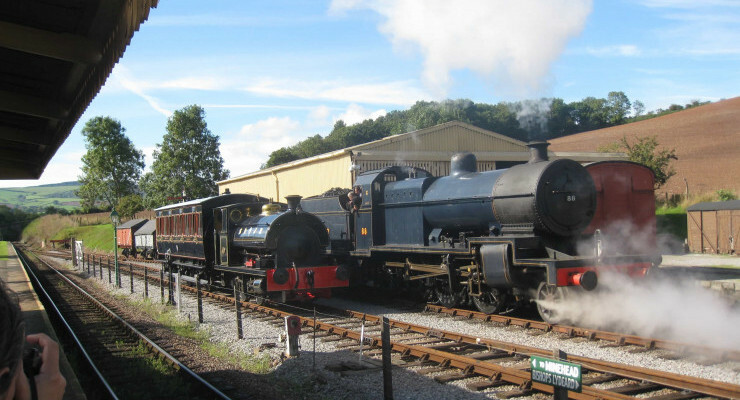 The Station, Bickleigh, Nr Tiverton, Devon, EX16 8RG. Preserved GWR station, passenger carrying 2ft gauge and miniature railways, model railway exhibition, new model village museum. Warton Road, Carnforth, Lancashire, LA5 9TR. Quainton Road Station, Quainton, Nr Aylesbury, Buckinghamshire, HP22 4BY. Brading Railway Station, Station Road, Brading, Isle of Wight, PO36 0EB. Springwell Road, Springwell , Gateshead, Tyne & Wear, NE9 7QJ. Peene, Folkestone, Kent, CT18 8AZ. Station Road, Didcot, Oxfordshire, OX11 7NJ. Vernon Way, Crewe, Cheshire, CW1 2DB. Holt Road, North Elmham, Norfolk, NR20 5LE. Restored country station with exhibition and visitor centre. 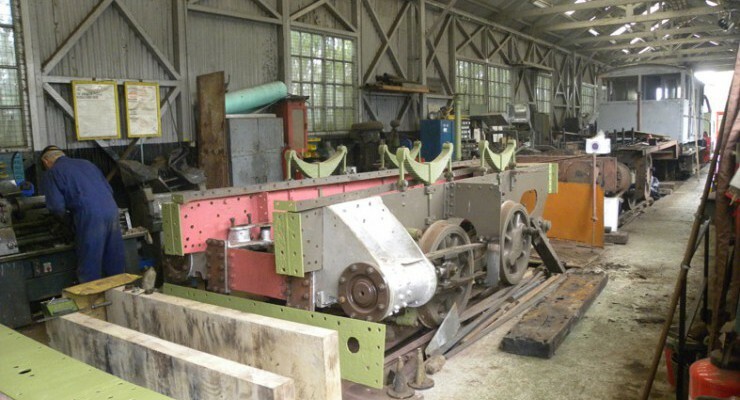 Operated by Mid Norfolk Railway Preservation Trust.